Alexandria’s Yellow Cab near my location has a foundation in dedicated and dependable professionals that established us for more than 50 years. 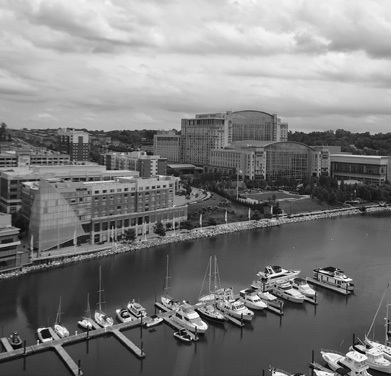 This company has become a premier taxi company close to you, providing taxi service and connecting people between Virginia and Maryland, including transportation to and from National Harbor, MD. Can You Get to National Harbor with Washington Metropolitan Taxi Nearby? Yes! Every driver of a yellow cab near Alexandria knows how to cross Potomac River conveniently, no matter if you’re on your way form Torpedo Art Center, Arlandria or Stafford. There’s plenty to see and do in National Harbor, MD and nearby, starting from Woodrow Wilson Bridge to the shopping district, accommodations, and restaurants and such. Ask your taxi driver if you need some pointers, they’ll gladly recommend something good for family fun (The Capital Wheel) or shopping friendly (Tanger Outlets where you can find stores for some of the most famous brands such as Pandora, Michael Kors, Polo Ralph Lauren and many other) depending on how you want your day to go. Call +1-703-549-2500. One of the most popular Alexandria Yellow Cab services is the nearest airport taxicab ride you’ll ever find. Whether it’s a ride from National Harbor to Ronald Reagan Washington National Airport (DCA), yellow cab service to and from Washington Dulles International Airport (IAD) and airport cab service to and from Baltimore-Washington International Airport (BWI). No matter if it’s your first or a hundredth time flying into the Metropolitan Washington DC Area, regardless if you’re coming here for business or pleasure, contact us and one of the best drivers in the area will be with you shortly. Each Alexandria Yellow Cab chauffeur is professional, informed, and highly trained – with a thorough understanding of local traffic and driving habits. How Much Does It Cost to Hire a Yellow Cab near National Harbor? Not much, as you can see on this page here. How you get there is just as important as your destination. Driving you to and from your appointments efficiently, comfortably, and on time is of utmost importance to us. The primary goal is to help you save both time and money and enjoy the whole experience from your doorstep to your destination. Whether for yourself, your family, or a business associate, Alexandria Yellow Cab is the intelligent choice for your National Harbor taxi transfers near me needs.